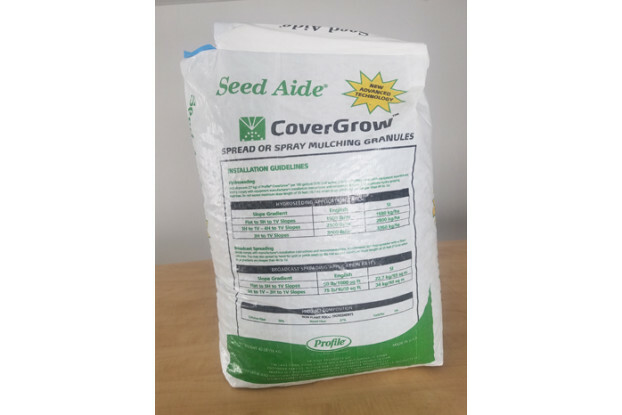 Seed Aide® CoverGrow™ is an advanced technology pellet made from recycled wood and cellulose fibers. 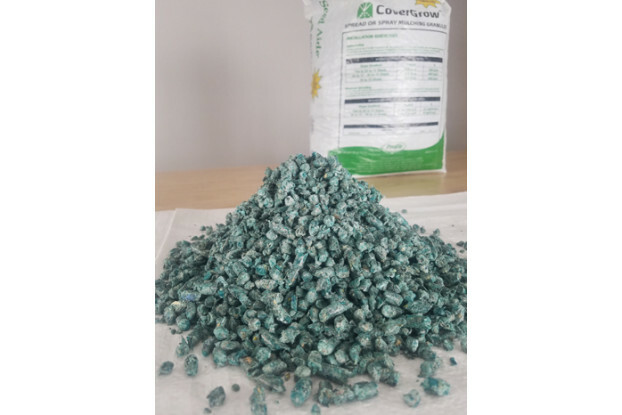 Once applied and activated by water, the pellets quickly expand and disperse to provide outstanding protection and water-holding performance right where it’s needed—whether you’re spot treating smaller bare spots, or hydrospraying larger areas, CoverGrow is the easy and convenient way to establish vegetation. Strictly comply with manufacturer’s installation instructions and recommendations. Use approved hydro-spraying machines. Do not exceed maximum slope length of 35 feet (11 m) when slope gradients are steeper than 4H to 1V. Add 60 pounds (27 kg) per 100 gallons (379 L) of water along with seed when hydroseeding; confirm loading rates with equipment manufacturer. maximum slope length of 25 feet (7.6 m) when slope gradients are steeper than 4H to 1V. Cellulose Fiber . . . . . . . . . . . . . .58% +/-2 max. Wood Fiber . . . . . . . . . . . . . . . . . 37% min. Organic Tackifier . . . . . . . . . . . . .5% min.